International Seminar on "Site, Technology and Productivity of Teak Plantations", Chiang Mai, Thailand, 26-29 January 1999. Selected papers presented at the seminar were compiled. A paper on the global situation of teak plantations and several papers highlighting teak plantation management issues in different countries like Bangladesh, Brazil, China, Costa Rica, Cote d’Ivoire, India, Indonesia, Malaysia, Myanmar, Sri Lanka and Vietnam were included. Papers dealing with specific topics such as tree improvement, mass propagation, disease and pest management and productivity and economics were also included. This regional seminar on Teak held in Myanmar was the second of this kind organized by FAO, after the first jointly organized by China/ESCAP/FAO in China, March 1991. Seeing the follow-up activities after the first seminar, FAO recognized the need to examine several technical and economic issues in three major subject areas to discuss how to best guarantee the perpetuity of teak: 1) the management of natural teak forests; 2) the management of teak plantations; and 3) the trade and marketing of teak. This book consists of the proceedings of the seminar: record of discussions, thematic papers, country profiles and introduction to TEAKNET (Asia-Pacific Network on Research and Development of Teak). Regional Seminar on "Research and Development of Teak", Guangzhou, China, 19- 27 March 1991.
International Teak Symposium, Thiruvanthapuram, Kerala, India, 2-4 December 1991. 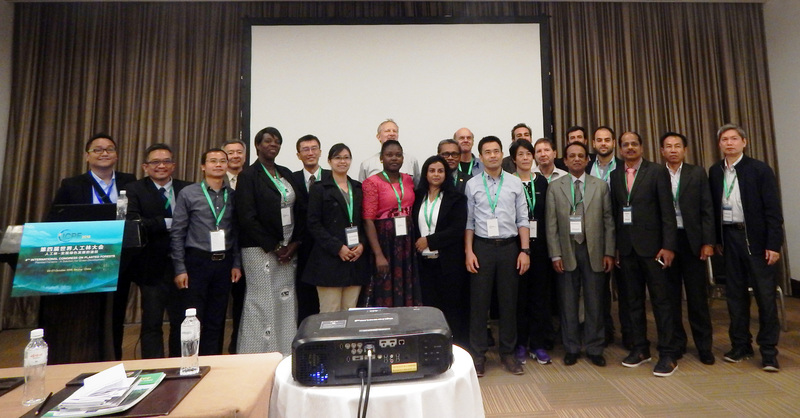 The proceedings of the International Teak symposium highlight the status of teak cultivation and research. The important aspects like early history of teak planting, silviculture and management, pests, diseases and disorders, genetic improvement, soil, yield, utilisation and environmental issues are dealt with. Other general aspects such as privatisation and commercialisation of teak growing are also dealt with. Status of teak cultivation and research in India and Indonesia is highlighted.